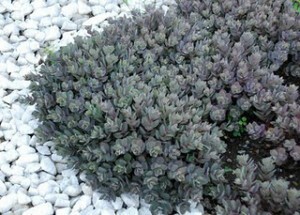 I love Sedum but, in recent years, I’ve become enamored with the shorter ones because they’re don’t fall over. One of the newer cultivars, ‘Crystal Pink’, fits into this category. Growing only twelve inches high and a tiny bit wider, it has pale pink, almost flat flower heads held above very tight foliage. 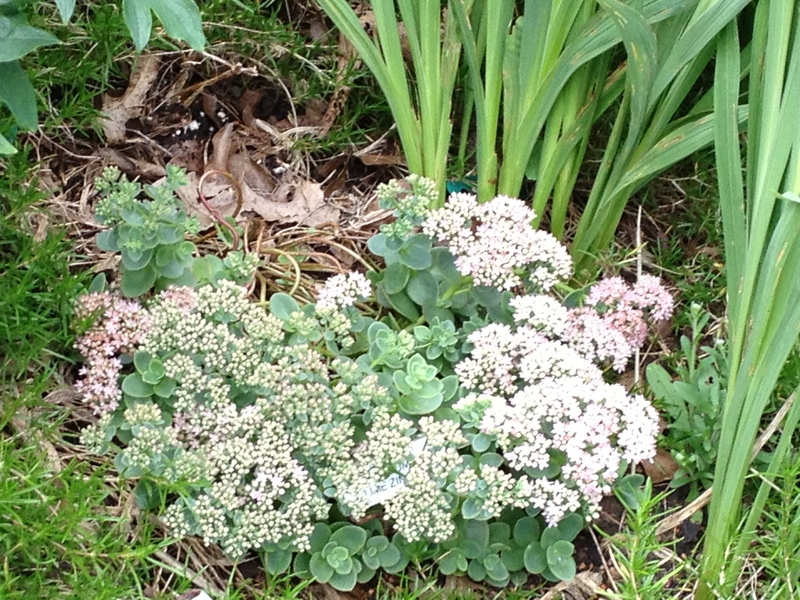 Like most Sedum, it attracts beneficial, pollinating insects and butterflies. It is doing well for me in a full sun, well drained spot. 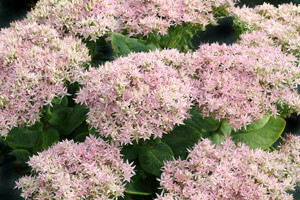 Sunsparkler® ‘Dazzleberry’ is another Sedum that has drawn a lot of attention. Developed by Chris Hansen of Great Garden Plants, it is a groundcover sedum, growing only six to eight inches but eighteen inches wide. The flowers are a dark raspberry pink. The foliage is smoky blue-gray. 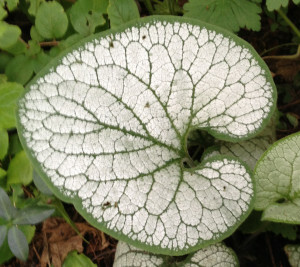 This one I sited at the bottom of a south facing hill with other groundcover sedums. A sister cultivar is ‘Lime Zinger’. It is very similar to ‘Dazzleberry’ in habit but has pale pink flowers and tight green foliage, supposedly with a cherry red edge but I’m still waiting for that colored edge to appear. In 2013, it started blooming for me during the last week of July. 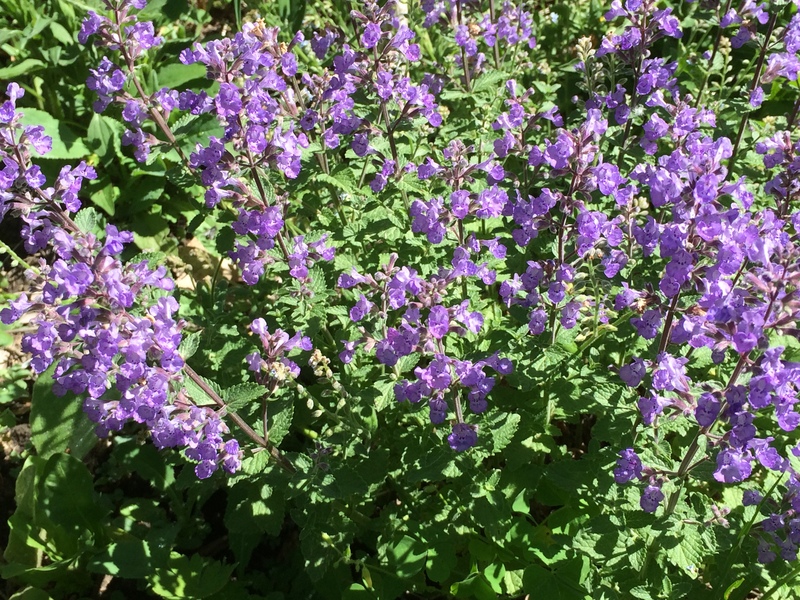 For years, my favorite Nepeta (Catmint) has been ‘Dropmore Hybrid’. Its one drawback is its sprawly nature, particularly in tight spaces. Now we have ‘Purrsian Blue’ that forms a small, dense clump of tiny, green leaves with blue-purple spikes of flowers all summer long. It does not reach its mature growth of fourteen inches high and thirty inches wide until the second year but I haven’t had to prune it back like I do ‘Dropmore Hybrid’ to keep it blooming. Brunnera (Forget-Me-Not) has always been a staple of the shade garden. The introduction of ‘Jack Frost’ was a game changer for this genus because its silvery variegation lightens the shade immensely. Now we have two similar but better cultivars, ‘Sea Heart’ and ’Silver Heart’. 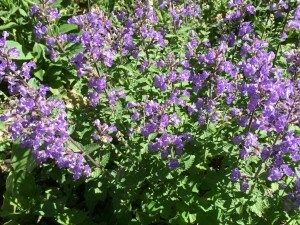 The leaves are much thicker and rounder and bloom starts a week or two earlier. Even though I planted these two cultivars side by side a few years ago, I cannot discern much difference between them. I did notice that the foliage did not develop any blackening like my ‘Jack Frost’ does, starting in mid to late summer. The newest cultivar of this type is ‘Alexander’s Great’, so named because the foliage will supposedly get huge but mine has not been in the garden long enough to mature. A somewhat different Brunnera has been in my garden for five years. 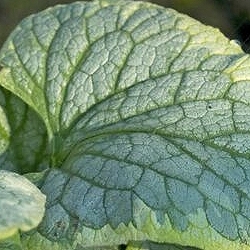 ‘King’s Ransom’ is mostly silvered green with dark green veins but with a wide cream edge. 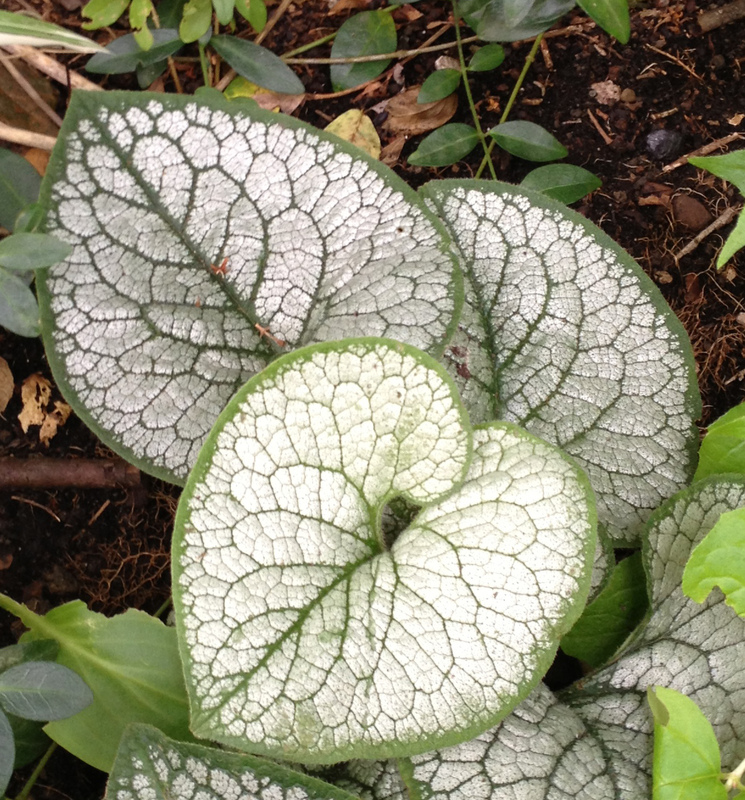 All of the Brunnera grow best in partial shade and average to moist soils. All three of these genera are mainstays of the garden so we welcome improved introductions that are as good as their hype. A tapestry of 'Dazzelberry' and 'Angelina' might be nice. Interesting note on the Nepeta, cutting back the Dropmore is a nuisance. The Brunnera 'Alexander the Great' also sounds potentious. There are just so many cultivar introductions - think that a 'significantly improved' editoral law should be invoked by some great green ruler. I agree that there should be a lot more trialing and not just in breeder gardens but in gardeners' gardens where they won't get much attention. Those trials more closely duplicate the conditions in which most plants will have to survive.